A host of far-right groups are set to join Nigel Farage in a march on the Supreme Court. 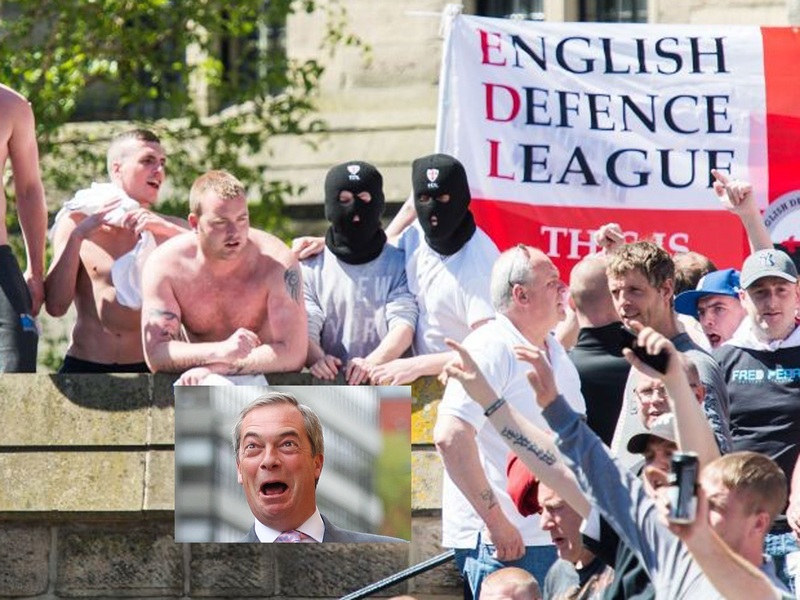 The British National Party (BNP) and English Defence League (EDL) are among the biggest planning to send delegates to protest the ruling last week must vote on envoking Article 50. They will join Farage, Ukip’s interim leader, in the demonstration tipped to attract 100,000 people. Farage called the rally after judges ruled Theresa May had no right to begin Britain’s exit from the EU without first consulting Parliament. He branded it a “deliberate, wilful attempt to frustrate referendum and even said one of the judges should not have been allowed to sit on the High Court panel. Now some of Britain’s biggest far-right groups have revealed they will march with Farage and thousands of other Brexiters to put pressure on the Supreme Court. BNP leader Adam Walker told The Huffington Post UK that he and many of the party’s members would be making an appearance. “The BNP has campaigned to leave the EU since 1982,” he said. “We mobilised our core voters and others to win referendum, and we will step up our campaign to Leave the EU until the government delivers on the will of the people and triggers Article 50. A representative of the EDL also told The Huffington Post UK that many of its members would be “actively joining” all efforts to put pressure on Article 50 being triggered. When asked if it was being represented at the demo, the spokesperson said: “The EDL as an organisation will not, as yet be joining a march. “We have a policy to follow our mission statement, but many of our members will be actively joining all available efforts to push our government to invoke Article 50. Liberty GB, which fielded a candidate in murdered MP Jo Cox’s constituency also posted about the protest, writing: “Be sure to join this march”. Details of the action have also been published by Pegida – led by ex-EDL frontman Tommy Robinson. This entry was posted in Media Alerts. Bookmark the permalink.